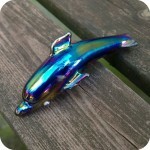 Another beautiful piece of glass made by Michigan based company Multiverse Glass. This one is an inside-out decorated chillum. A perfectly psychedelic hand blown piece of glass, this chillum has more character than most. It makes for a perfect at-home smoking pal, or could just as easily be used as an on the go piece because of its convenient size. At just a little above three inches long this chillum is not very large, but it packs a mean punch and is very sturdy. Place it in the palm of your hand and you will immediately feel a comfortable weight that you expect with a quality piece like this one. The smoke-like helix design within the chillum is sure to mesmerize all. 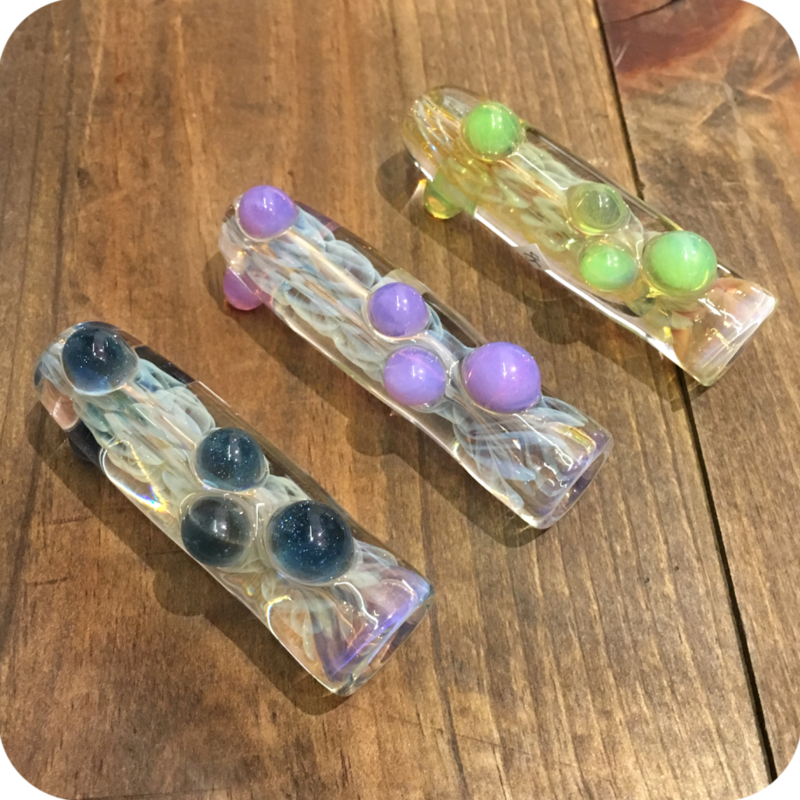 The beads that line this pipe adds a nice pop of color. Multiverse Glass Company never fails on delivering strong, high-quality, beautiful pieces. Cleaning and maintaining this chillum is very easy and convenient. Just grab a standard pipe cleaner and run it through the piece regularly. This will keep your pipe clear and high-functioning all the time! Not to mention it will have a much better taste than one riddled with ash. For those of you guilty of letting the gunk build up over time, Formula 420 Cleaner comes highly recommended by smokers all over the world. Regular maintenance makes smoke sessions much more enjoyable and makes sure your pipe lasts you a lifetime. A clean pipe is a happy pipe! 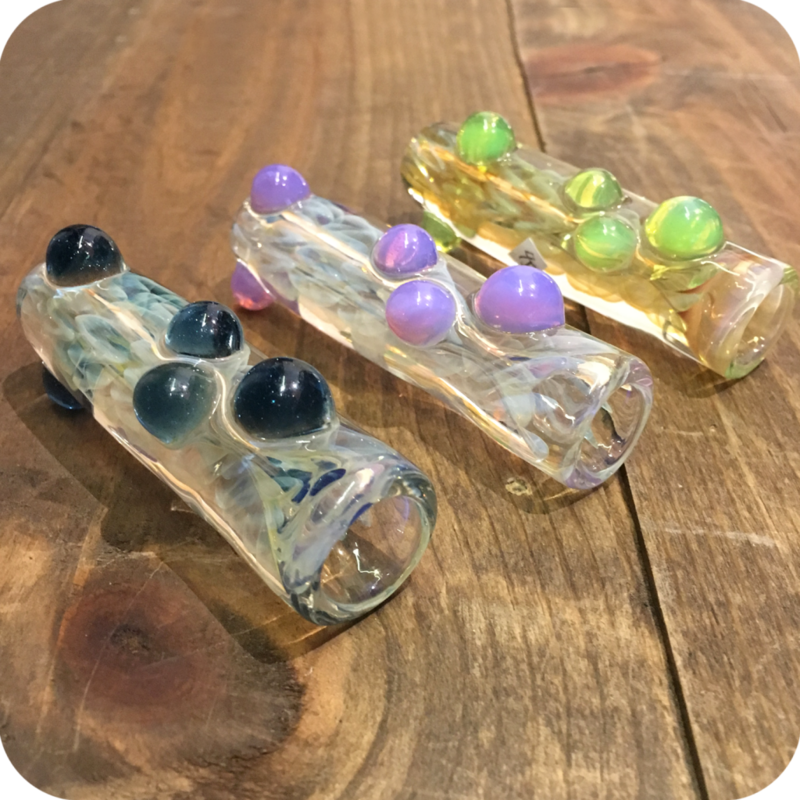 Impress your friends, and take your smoking game up another notch with this beautiful American made inside-out decorative chillum. Or gift it to a loved one who enjoys the finer glass in life. This chillum is not one to disappoint. Do not forget to swing by either one of our three Brooklyn store locations! 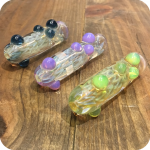 Tags: Brooklyn, brooklyn glass, brooklyn smoke shop, bushwick, bushwick head shop, glass chillum, inside-out decorated chillum, multiverse, multiverse glass, new york city, Sunflower Glass Co, Sunflower Glass Company, sunflower pipes, williamsburg smoke shop.